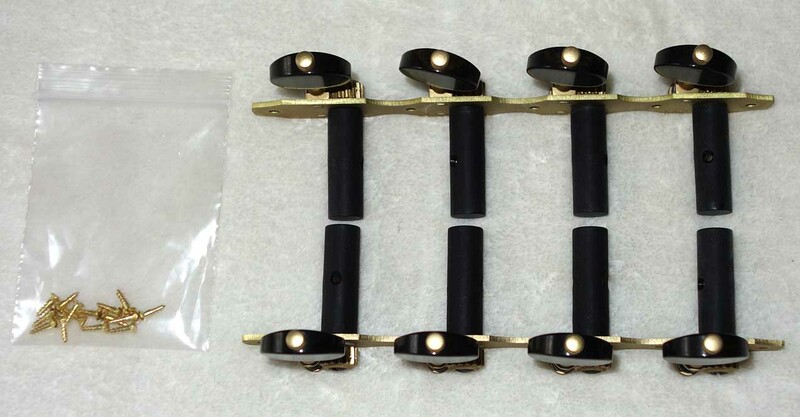 Up for consideration is a brand new set of Rubner 8-String, 4-on-a-plate guitar tuning machines, a modern teflon-coated set to be used either as a replacement set for worn out vintage Ramirez/Fustero tuners, or as an upgrade for Asian or cut-plate tuners. 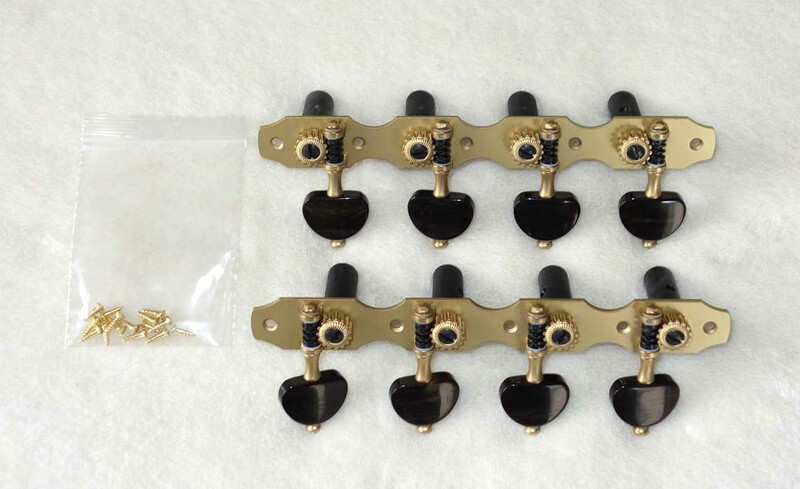 This is a great, moderate-cost, set of custom tuners, with nice smooth tuning action and Made-in-Germany quality. 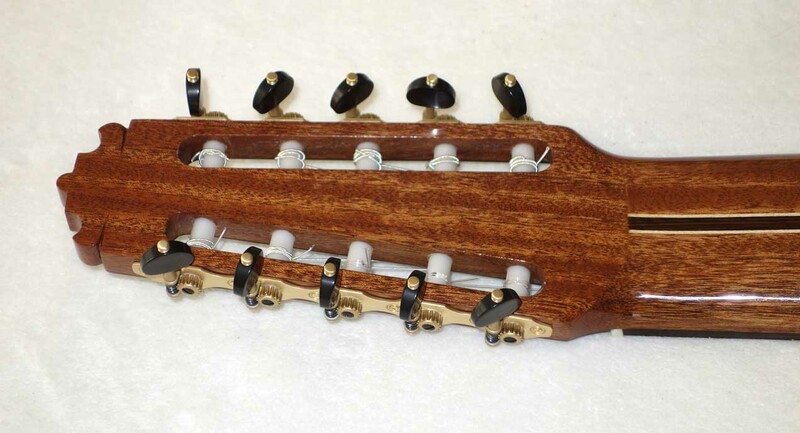 Normally, 4-on-a-plate, 8-string tuners are hard to find or expensive, and have a long wait time, as they are custom-made in small quantities. 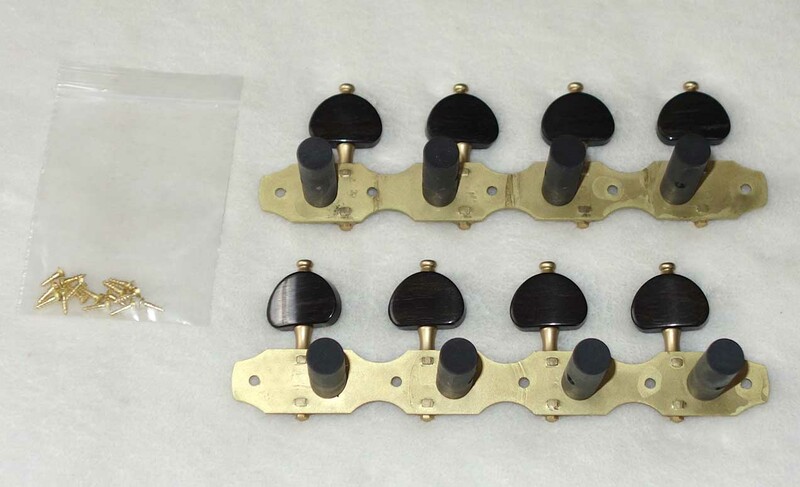 So here is a great opportunity to own a brand new set, complete with mounting screws. 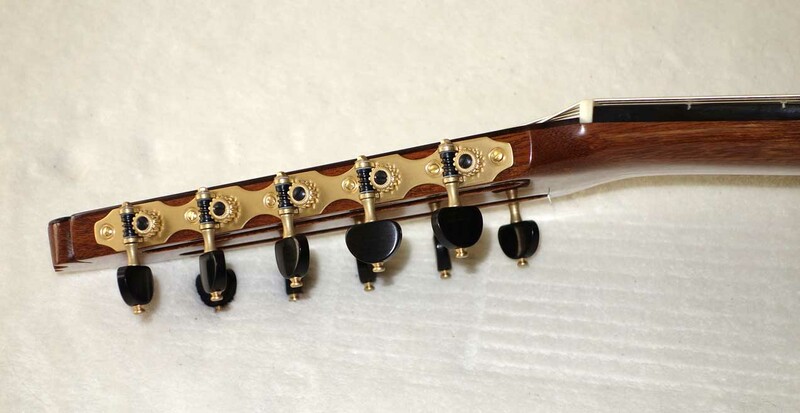 10-String Cathedral 40 Guitar not included. 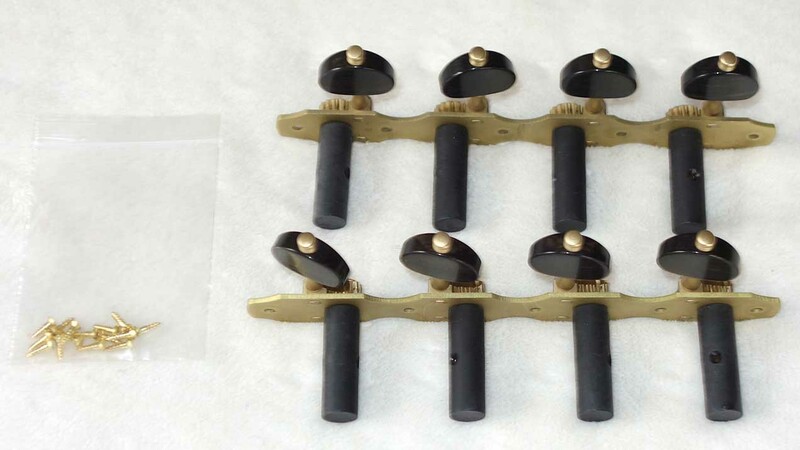 Please check our Other Listings for more Vintage Guitar Parts * IN STOCK * (Scroll for * SOLD *) as well as unusual electrics, Pro Audio gear, Antique Zithers, Ameritage Guitar cases -- and we are the world's leading manufacturer of 10-String Classical Harp guitars, with over 500 guitars sold during the last 11+ years. Thanks for shopping with Cathedral Guitars!! !